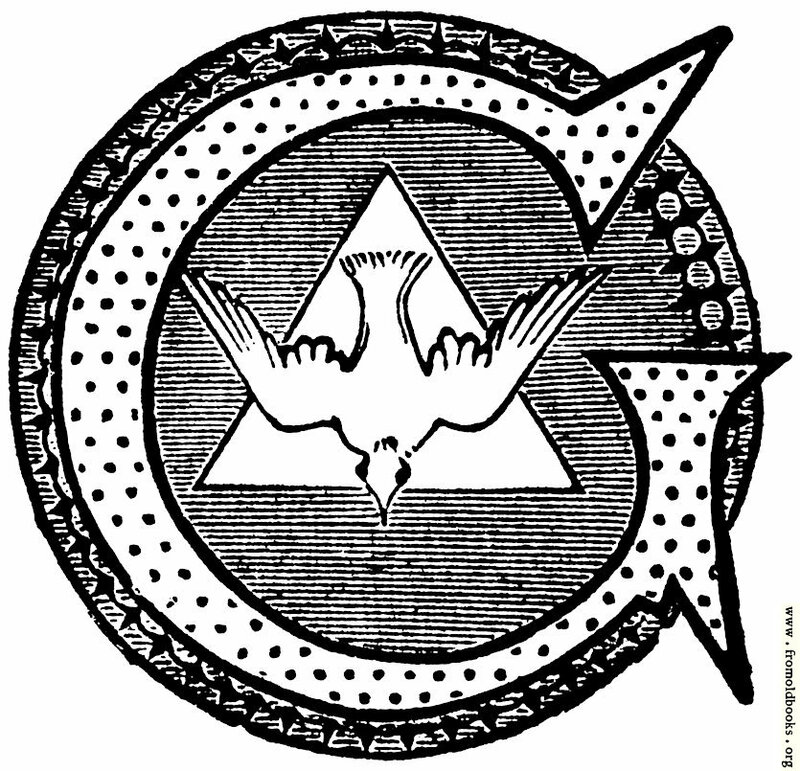 This decorative initial capital letter “G” features a geometrical circular outer design, a dotted in-fill for the letter itself, a triangle, and a downward-flying white bird, perhaps the dove of peace. It’s likely the dove was originally intended to be a Christian symbol. 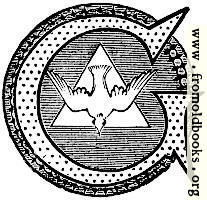 When the dove emanates rays of light, the dove in the triangle represents the Holy Spirit. This was printed as a seven-line drop cap, with the rest of the first word set close to the inital letter to make a “bridge” and the other lines set of by a full em.